In my previous article, I tried to explain about WCF Restful service using HTTP Get method. This works well as long as you are sending small data as information to the service. But if want to deliver huge data, HTTP GET Method is not a good choice. In this article, we will create one WCF RESTFul POST API. I will also try to explain why and where to use POST method. Why to use POST, not GET? When I write any WCF service, I always use POST. The reason is the advantage of POST over GET. Using HTTP POST method, you can almost achieve everything which you can achieve from GET. Despite this, you will get some additional feature if using POST. We might say that "GET" is basically for just getting (retrieving) data whereas "POST" may involve anything, like storing or updating data, or ordering a product, or sending E-mail, etc. Extremely long URLs are usually a mistake. URLs over 2,000 characters will not work in the most popular web browser. Sending long information via URL is not a good way of implementation and also it has many restrictions, i.e., max length of URL, information format, bla bla bla. For example, Internet Explorer has a limitation implemented at 2083 characters. URI is meant to be readable not to send information. So if you are writing any REST service and your information is long enough, better to choose POST instead of GET method. In this article, I am going to create WCF Restful service using POST method and access it using HTTP Request. So we will have client and server both in this example code. I am creating one service which accepts HTTP Post XML request and response request data in XML format. Launch Visual Studio 2010. Click FILE->NEW->PROJECT. Create new "WCF Service Application". Once you create the project, you can see in solution that by default WCF service and interface file are already created. Delete by default created file as we will create our own interface and WCF service file. Now right click on solution and create one new WCF service file. I have given name to the service file as “RestServiceImpl.svc”. We will create two DataContract classes for request and response purposes. We must have to use namespace for the data contract in POST RESTFul service, which has multiple uses, i.e., reflects the current version of your code. The same namespace should use in XML to Post data. Here, I have given http://www.eysnap.com/mPlayer as namespace which can be changed. Now we will write the OperationContract in IRestServiceImpl which is an interface. Below is the code for that. As we can see in the above code, here Request and Response format is XML. We can change it to JSON also by changing the WebMessageFormat <span></span>from WebMessageFormat.Xml to WebMessageFormat.Json. Implementation of Auth OperationContract in RestServiceImpl.svc.cs here. Now let’s move to the configuration part which is the last one. There will be two basic parts of the configurations file which we must have to understand. And that’s it. Our Restful WCF POST RESTful service is ready to test. I have created one Test WebClient in C# which makes HTTP request with some XML data. My application is hosted on localhost and URL is http://localhost:35798/RestServiceImpl.svc/auth. I launched and invoked service using WebClient. Below is my XML response which is the correct one. This service can be used by any language application (.NET, PHP, JAVA, etc.) and that is the major reason to use REST service in the application. Hope the article is useful for the community. Comments, suggestions and criticisms are all welcome. How I convert xml data with xmlns to JSON? You saw that using of xml / Json for post data to wcf service, but didn't get any samplpe. But I don't solution for convert this xml with xmlns property to Json object. please show sample for me. It would be nice to add the client code into the article so one does not have to download it. How do enable metadata for this service? How do i test this service using SOAPUI? I am following the tutorial step by step, using visual studio 2015. And run the service on Microsoft WCF Test Client. It gives me the following error. Can anyone help me on this? Thank you! Failed to add a service. Service metadata maynot be accessible. Make sure your service is running and exposing meta data. How to Invoke this Service? Hey Ashu. My name is Gari and I'm new for Restful service. I created restful post service based on your article. But when I was try to invoke the service with WebClient, I got an issue "Additional information: The remote server returned an error: (400) Bad Request." could you tell me please how to invoke this service. I added one more row to the post data ie details row but it doesn't show up in the Auth function -- how do you change the datacontract to handle multiple detail rows? thanks for the code! 2. If someone is trying to login with GET method, cannot I insert record at what time user logged in, off course I can. There are many more reason to use get when you want to fetch the items. Use GET wherever you are fetching the data, and POST to update or save something. I am a newbie in C#. sorry if this question is very fundamental. This being a sample for WCF service API using POST, I was not expecting SoapAction in Webclient implementation of code in RestService - default.aspx.cs. CREATE RESTful WCF Service API Using Post... Wonderful guide! 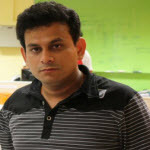 Ashutosh - I was ready to pull my hair out trying to write a RESTful web service and getting a client to consume with a POST. I kept getting 404 and 400 Exceptions. Your article stepped me through the processed start to end. I could not find any other articles out there that are as complete as yours. They always lack guidance on the consuming end. Great job!!! The request is not real world and please use proper English. The article is so full of syntax errors it is hard to follow. Your code is not working for me please help. In postdata.xml file ,i ppased like below. I'm a total noob in the world of information technology and computer programming. And I'm required to learn Web Service for a project i'm working on. Thank you so much. Service is not calling in this demo. you are only XML loading in textbox. I have same problem.please post code here Once you fixed this issue.